From Sentinel comes your favorite Marvel Comics character shown in a unique display case! 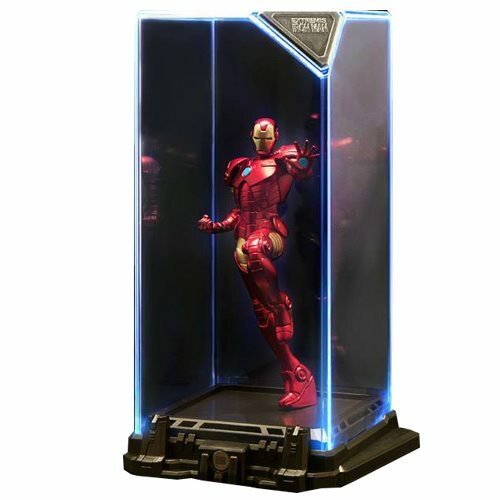 The Marvel Iron Man Super Hero Illuminate Gallery Statue comes in a display case that completely encapsulates the non-articulated statue. The display case features LED light up functions. Requires 3x "AAA", batteries not included. Measures about 6 3/4-inches tall. Ages 15 and up.